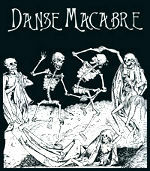 Friday, October 30th, Haunted Library, 6:30 to 8:00 p.m., Northfield Public Library (for sixth graders and older with a non-perishable food item or $2 donation), Danse Macabre, 7 p.m., Northfield Arts Guild Theater, Whim, Po & Emili, 7 p.m., Tavern Lounge (riverside of the Archer House), The Marriage of Figaro, 7:30 p.m., Urness Hall on the St. Olaf College campus, Measure for Measure, 8 p.m., Arena Theater on the Carleton College campus, Carleton Symphony Band Concert, 8 to 9 p.m., Concert Hall on the Carleton College campus, Phantoms, Pumpkins and Pipes with Pherg, 11 p.m., Boe Chapel on the St. Olaf College campus and the Spruce Top Review at the Contented Cow. Saturday, October 31st, it’s Lonesome Dan Case, 7 p.m., Tavern Lounge, The Marriage of Figaro, 7:30 p.m., Urness Hall on the St. Olaf College campus, Halloween Skate, 7:15 to 9:15 p.m., Northfield Ice Arena, Measure for Measure, 8 p.m., Arena Theater on the Carleton College campus, and Randy Burger at the Contented Cow. Sunday, November 1st, it’s the Carleton Jazz Ensemble Concert, 3 to 4 p.m., Concert Hall on the Carleton College campus, the Cannon Valley Regional Orchestra’s production of Carmen, 6 p.m., Northfield Middle School Auditorium, and then, of course, Politics and a Pint,6 p.m., Northern Roots Session, 7 p.m., and Quiz Night, 8 p.m., all at the Contented Cow.